The Semantic Web enables organizations to attach semantic annotations taken from domain and application ontologies to the information they generate. The concepts in these ontologies could describe the facts, dimensions and categories implied in the analysis subjects of a data warehouse. 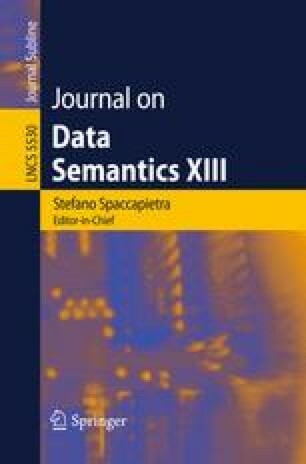 In this paper we propose the Semantic Data Warehouse to be a repository of ontologies and semantically annotated data resources. We also propose an ontology-driven framework to design multidimensional analysis models for Semantic Data Warehouses. This framework provides means for building a Multidimensional Integrated Ontology (MIO) including the classes, relationships and instances that represent interesting analysis dimensions, and it can be also used to check the properties required by current multidimensional databases (e.g., dimension orthogonality, category satisfiability, etc.) In this paper we also sketch how the instance data of a MIO can be translated into OLAP cubes for analysis purposes. Finally, some implementation issues of the overall framework are discussed.